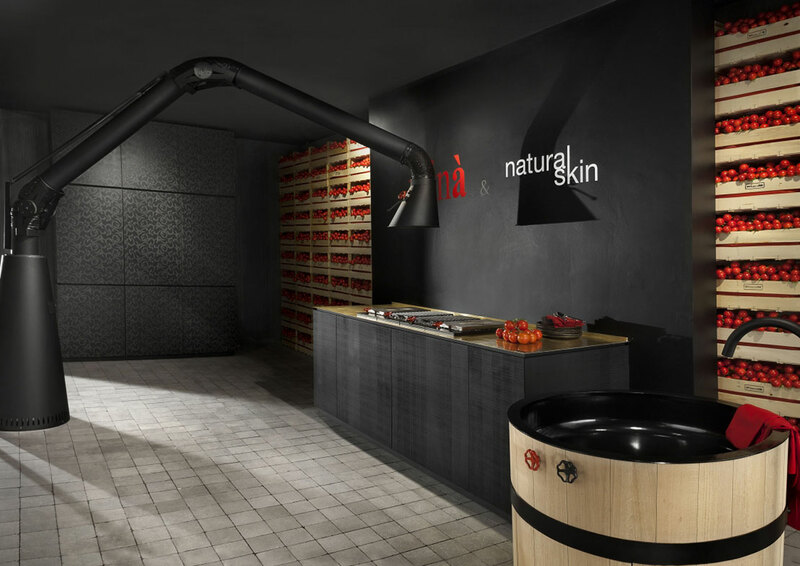 Natural Skin is not just a kitchen but a new way of viewing room in the home. 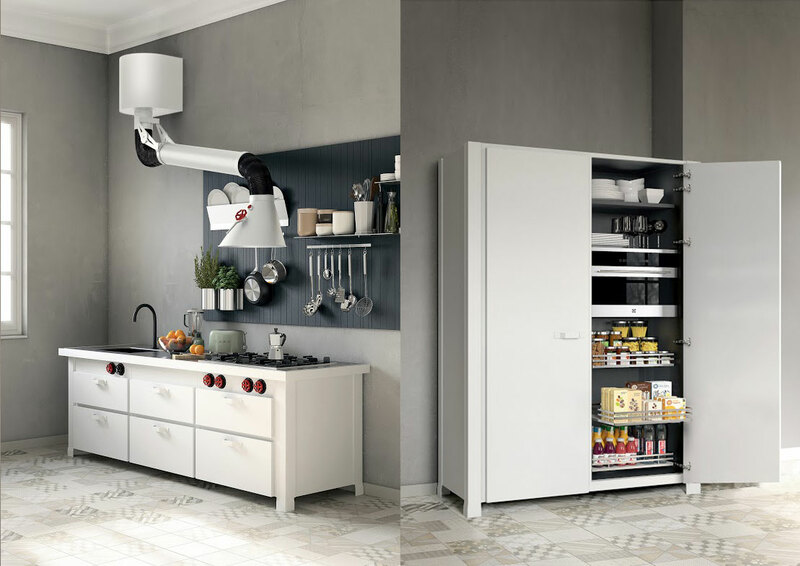 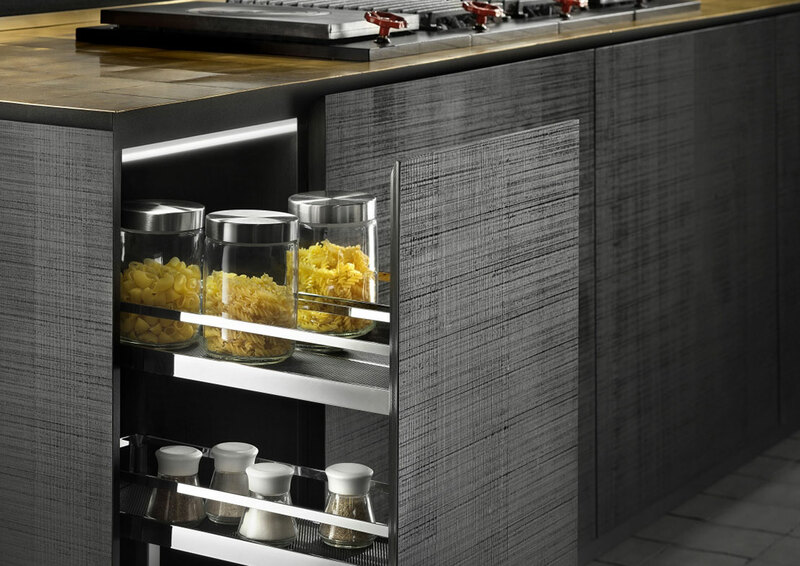 A line conceived to meet the demands of modern life, able, at the same time, make your life easier and to make available the functionality with extreme elegance. 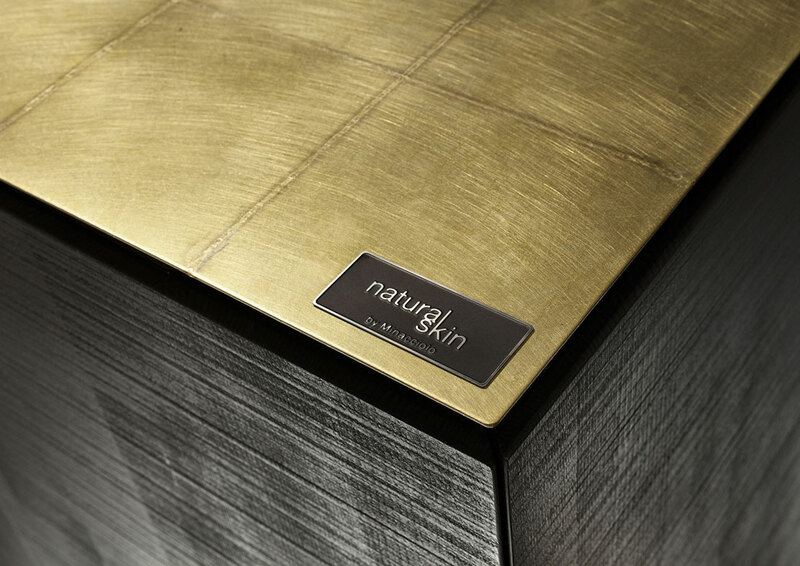 Natural Skin is the revolution of space: the sculptural purity of its monoliths divides and marks the different rooms of the house, without needing walls, offering unusual and practical storage units. 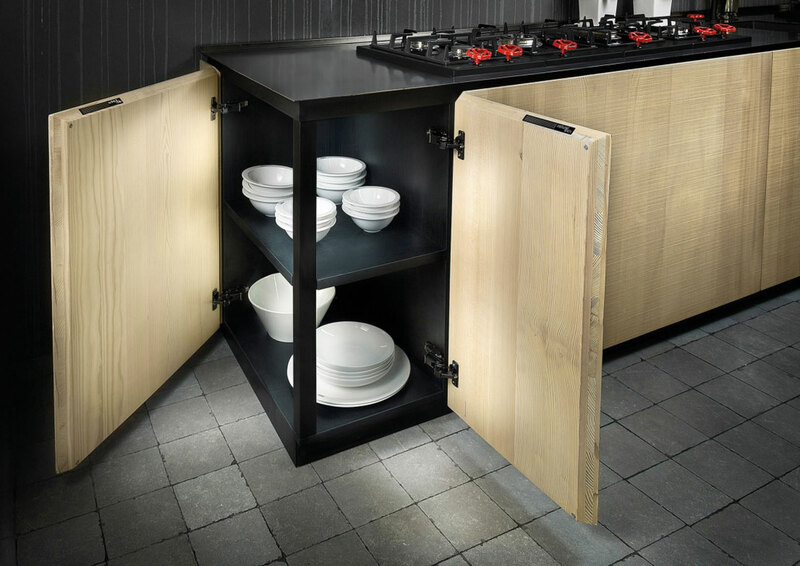 Functional yet elegant, it dictated by a warm natural casing that surrounds the structure total black. 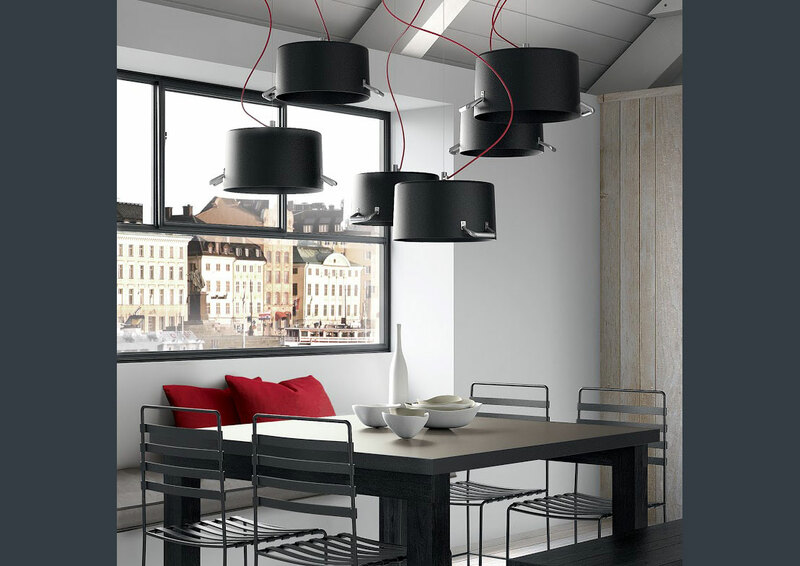 Its sharp geometry of lines and proportions offers the possibility to create volumes whit rhythmic minimal metal inserts. 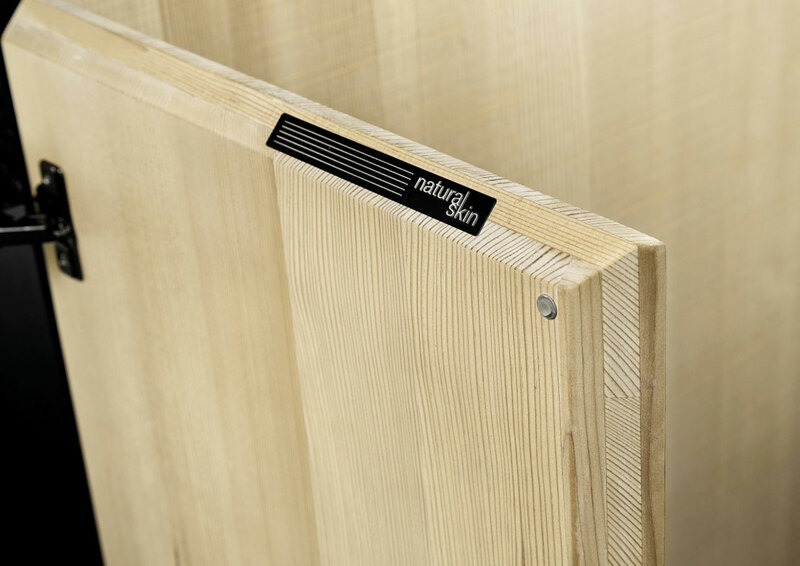 A line made to live the perfect synthesis between nature and modern technology. 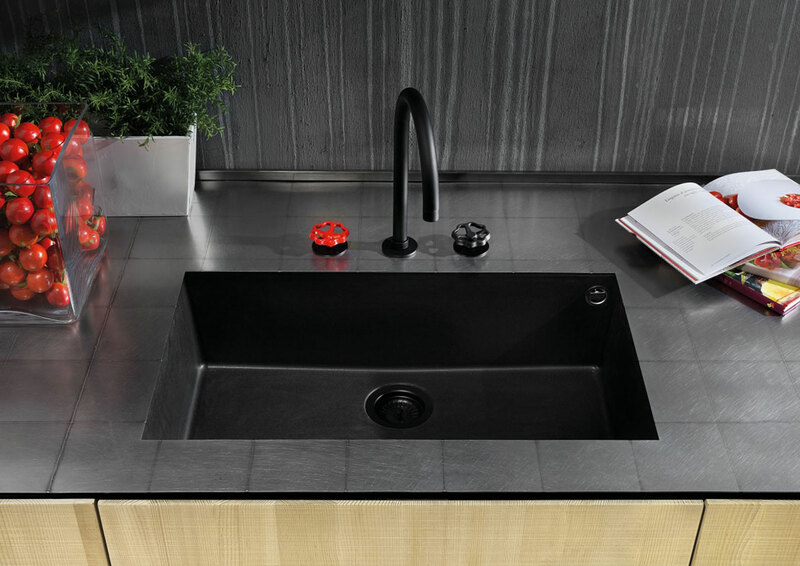 The texture of surfaces and the smoothness of the metal melt within a higher harmony. 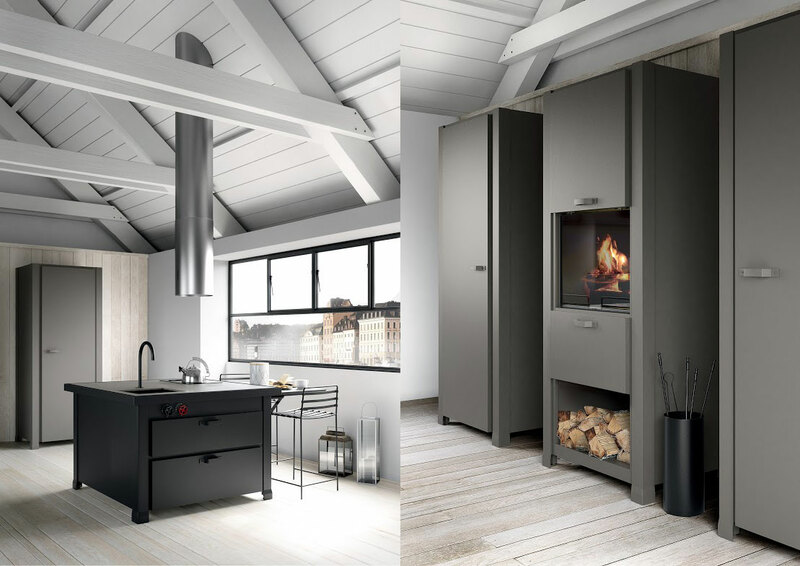 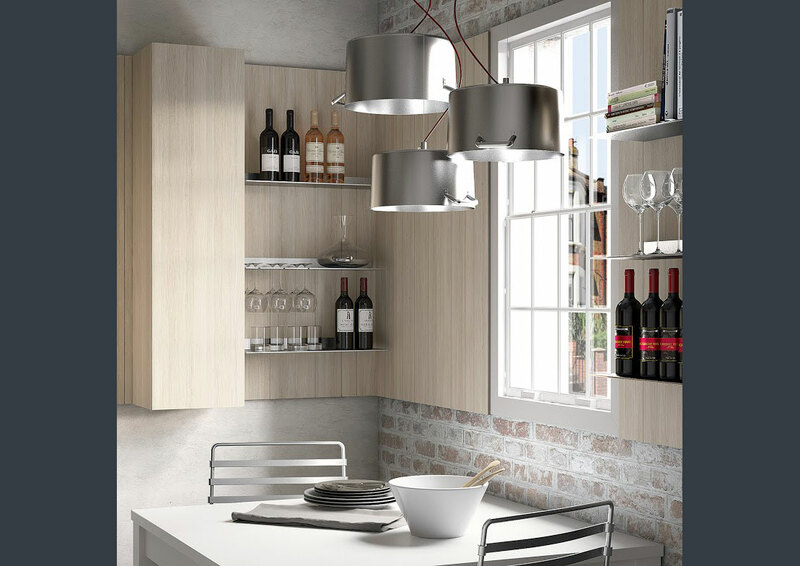 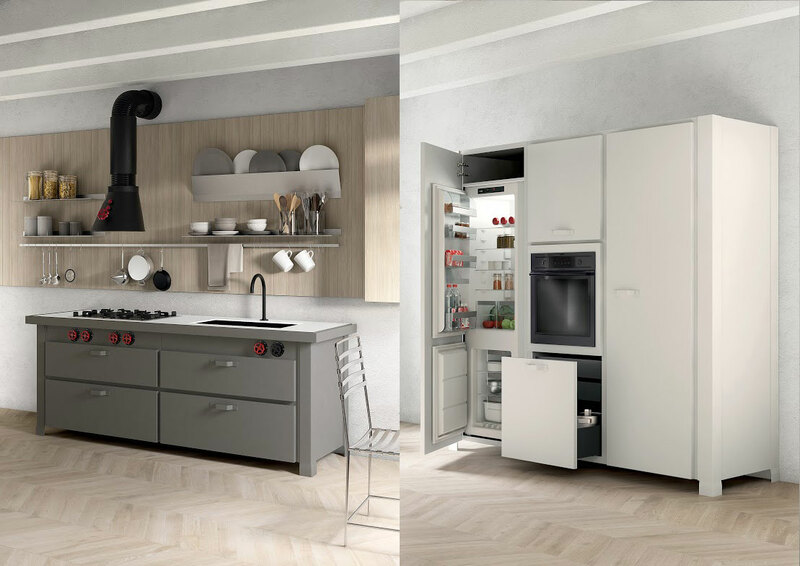 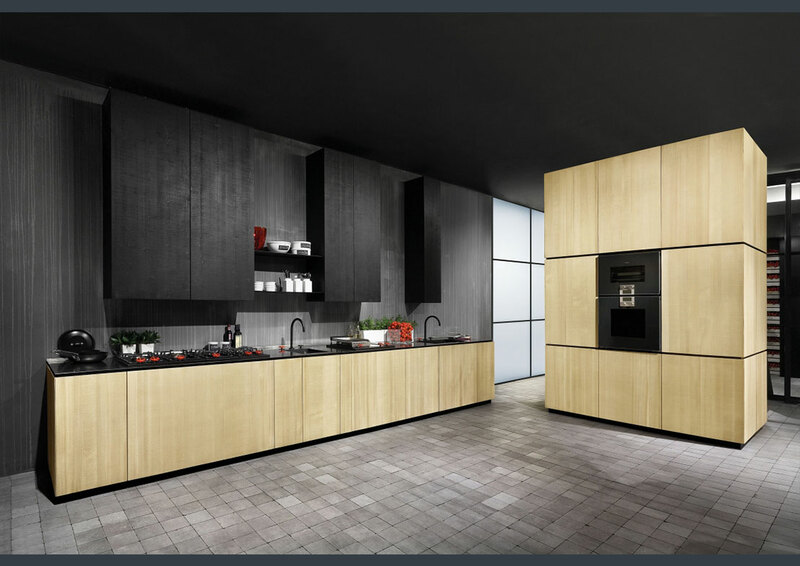 While remaining unchanged in form and details, the kitchen Natural Skin comes in two variants to suit every need: the Home version, for a more appropriate use of the living space, and the Professional version, the top of the range, also suitable the great chef. 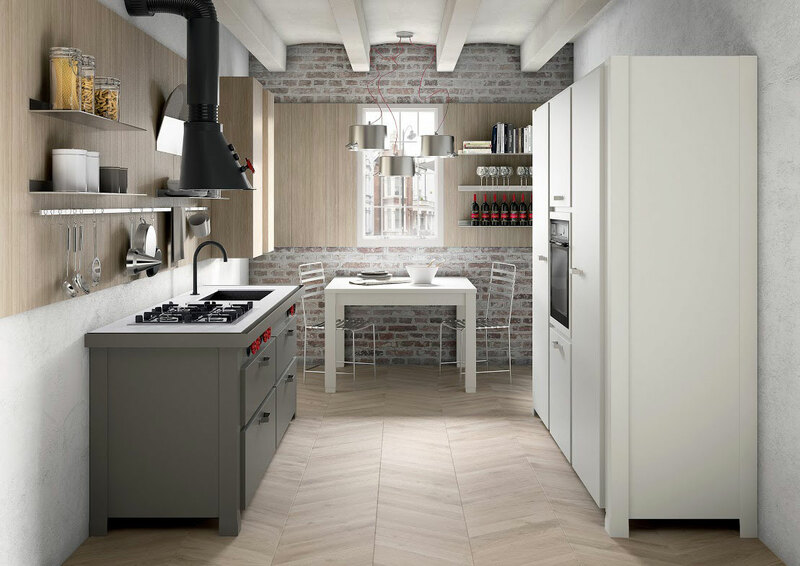 In a new multifunctional island concept Minà combines tradition and technology in the highest degree. 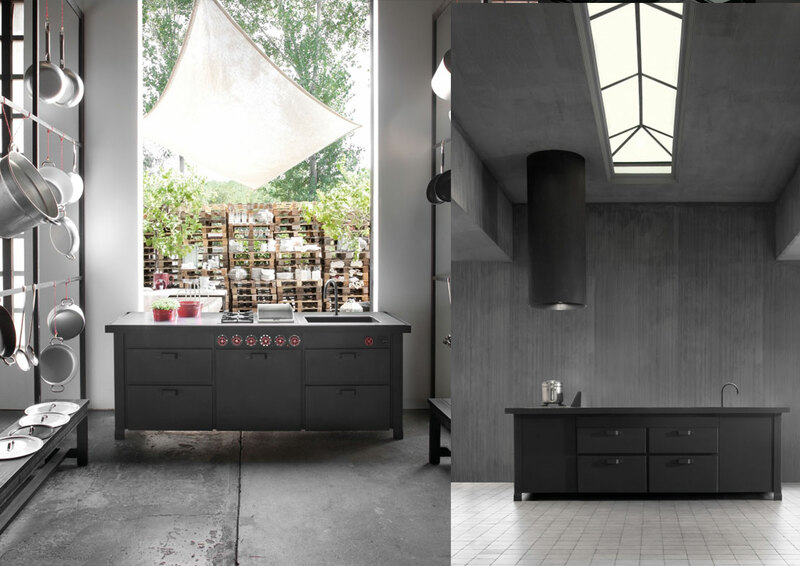 The essence and the details of his draw purest form archetype and evoke the charm of a proto-industrial scenario. 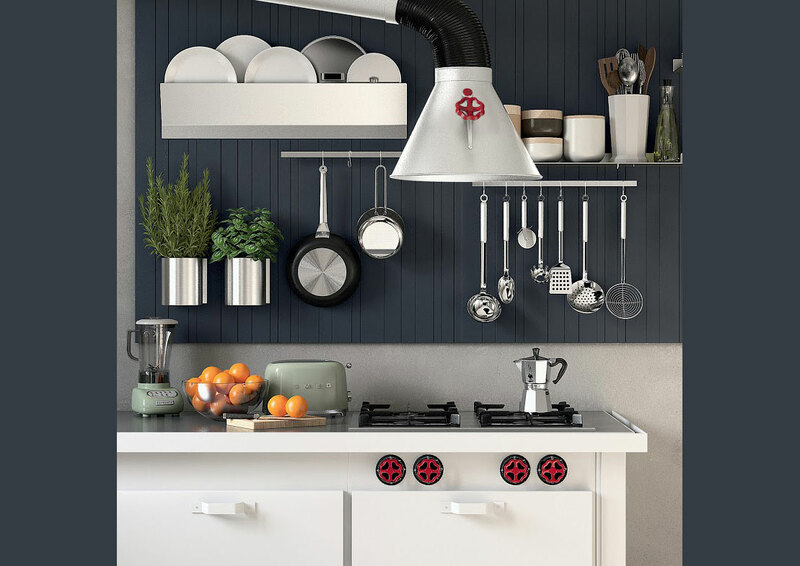 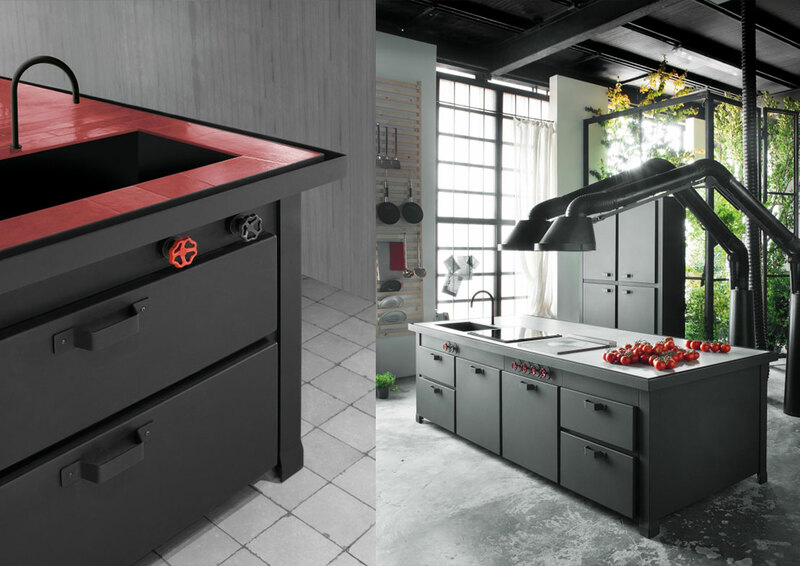 But the signs of this, the red knobs, fume hoods are recovered by daring to modernity and resists the suggestion that results in a dialogue with all environments: modern, traditional, classic. 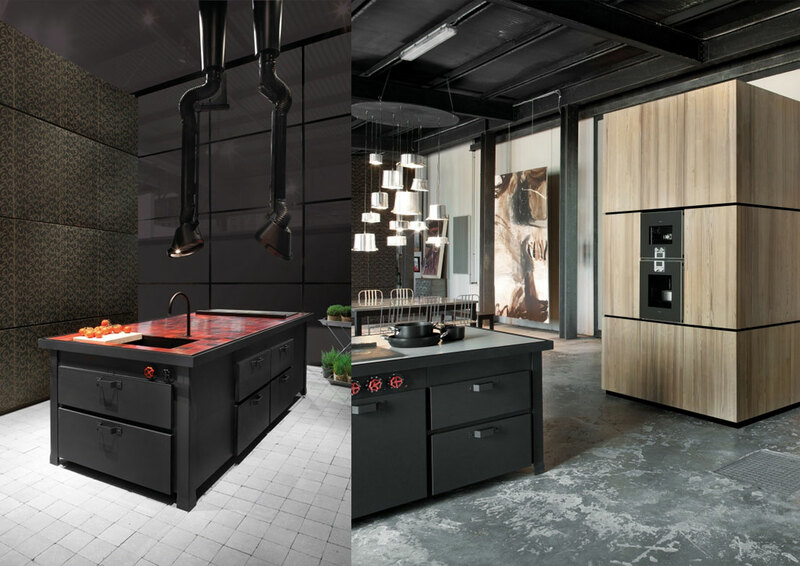 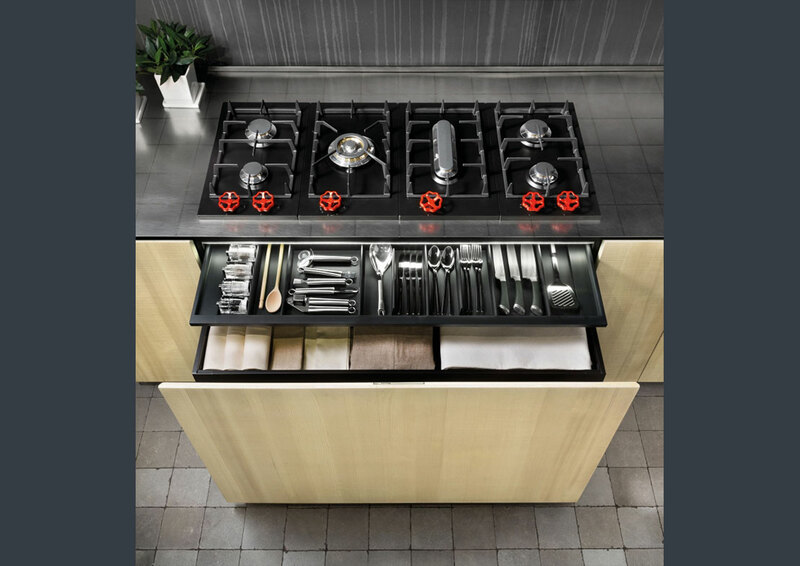 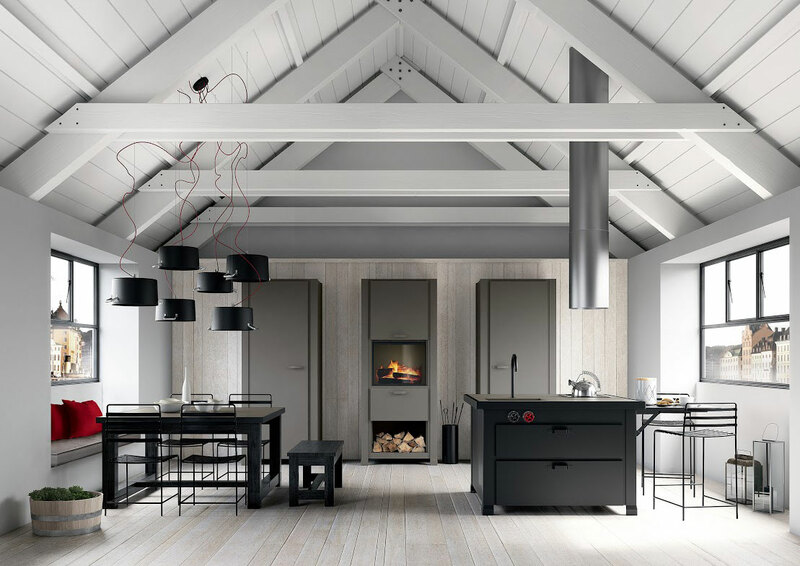 A kitchen as a "hotbed", where "cook" is not only "cooking", but create with fire. 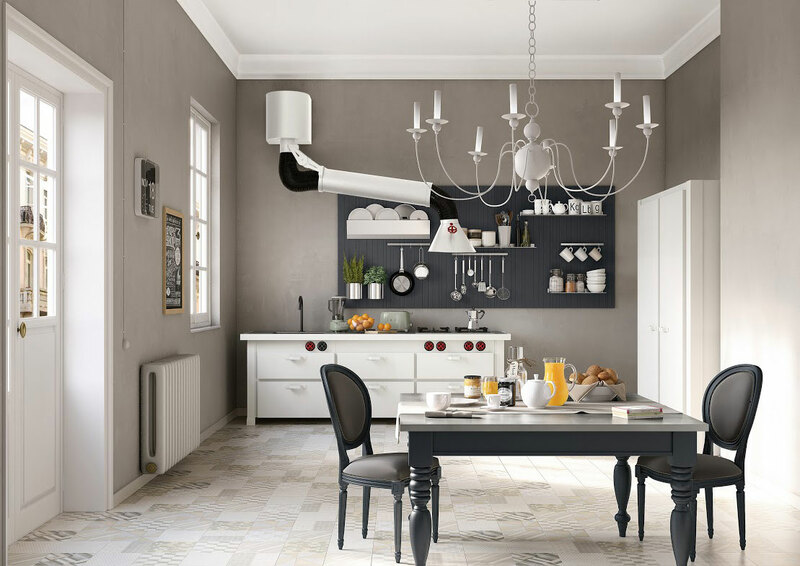 Una linea immaginata per venire incontro alle esigenze della vita moderna, capace al tempo stesso di semplificarla e di rendere accessibile con estrema eleganza la funzionalità.